Owlet’s smart sock is the answer to parental paranoia about whether or not your baby’s doing okay-especially overnight and during nap time. This innovative baby health monitor tracks oxygen levels, heart rate, and sleep patterns. And all it takes to get that valuable data is a little sock that wraps around your baby’s foot. Our safety experts fought over the chance to try the Owlet with their bambinos, and Scott was the lucky winner. 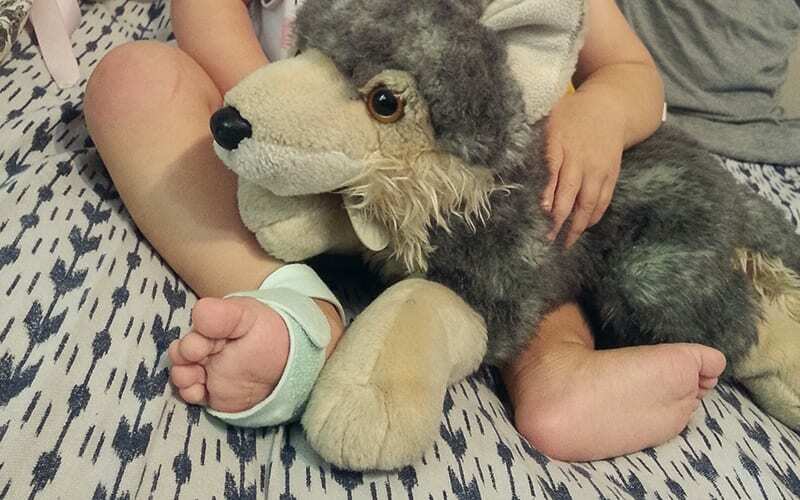 He tested the Owlet Smart Sock 2 with his daughter, Isla, for several weeks to find out how easy it is to work with, if the tracking is accurate, and whether or not his girlie would keep it on her foot. See the results of his test below-and our recommendations for using the Owlet with your little one. After the big fight scene over who got to test the Owlet, one lucky Safewise safety expert took it home and tried it out on his daughter. While Scott and his wee one figured everything out, the rest of us got to work researching everything we could find about the Owlet Smart Sock. We looked at the history of the product (we tested the Smart Sock 2.0), the pricing, customer feedback, and expert reviews. I also conducted an interview with parents who relied on the sock for the life of their infant. You can find more details about how we review products on our methodology page. When my kids were babies, I hovered obsessively over their cradles looking for signs of life. It may sound morbid, but I’ve never met a parent who didn’t do the same thing at least once. Let’s face it-when you become a parent, those wee ones take over. And you want to do everything you can to make sure they stay in charge for a long, long time. Enter the Owlet Smart Sock. This ingenious device does all the obsessive hovering for you. And it actually knows what to look for. If I’d had the Owlet, I’d have gotten a lot more (well, a bit more) sleep in those early months with my new baby. 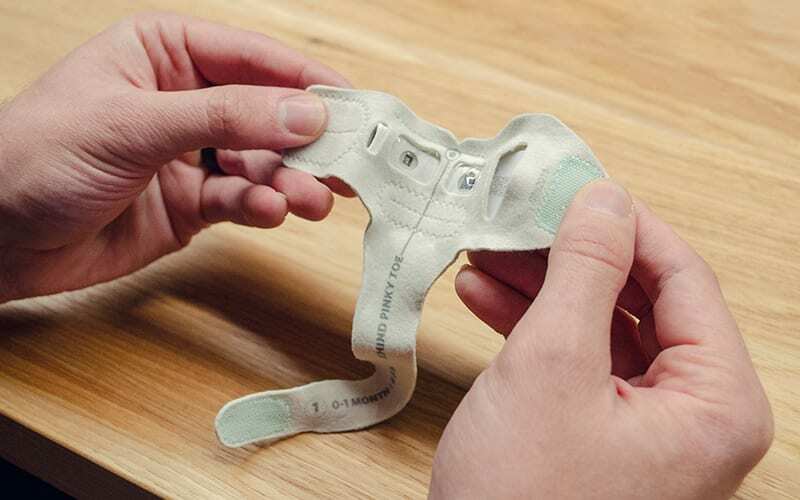 And everything about the Owlet sock is designed with your baby’s needs in mind, from the lullaby alert to the soft, adjustable construction of the sock itself. Our tester, Scott, put the Owlet through its paces and came out a big fan. But because he used it with his second child, he felt it wasn’t as life changing as it could have been. For parents who aren’t newbies, the smart sock makes the most sense if there are health concerns in play-especially with such a big price tag. The good news is there’s no monthly subscription or long-term contract required with the Owlet Smart Sock, but the bad news is a steep up-front price. The Owlet costs around $300, which is pricey for a baby monitor that doesn’t include video or audio. But that’s just a one-time cost, and Owlet offers no-interest financing options if you’d rather spread out the payment. Plus, you don’t have to purchase any extra equipment-everything you need comes in the box. The company also includes its 45-day Peace of Mind Guarantee with every Owlet Smart Sock purchase. That means if you don’t love it within the first 45 days, you can return it for a full refund, no questions asked. And if you’re a bargain shopper, Owlet sells refurbished smart socks for about $100 less than a brand new setup. Refurbished sensors and base stations have to pass a 13-point inspection before they can be sold. And you won’t get used socks-the refurbished kit includes three brand-new socks. There is some assembly required. 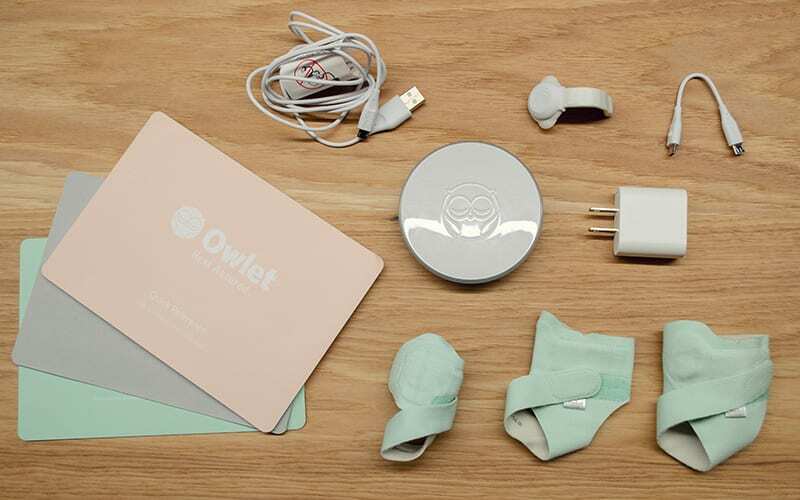 The Owlet sensor isn’t in the sock when you unpack the system, but it’s easy to slip it in. It comes disassembled so you can use the right-sized sock-you’re going to have to change it when the baby grows anyway, so it’s helpful to learn how to install it from the start. It’s apparent that Owlet spent a lot of time considering the needs of infants and new parents. The base station communicates primarily with light-you won’t find blaring sirens or piercing beeps here. It has five different status notifications that use different colors of pulsing, blinking, flashing, and static light to let you know what’s going on with your baby. And when it does make noise, the Owlet base station plays a lullaby. You can also get notifications on your smartphone with the Owlet app. The app was easy for Scott to use and understand (and this is a guy who’s in a constant battle with his Spotify app). 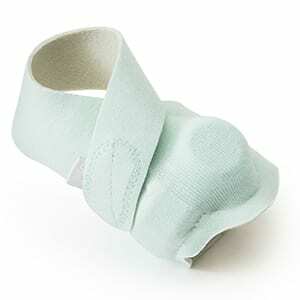 This adjustable sock holds the sensor and wraps around your baby’s foot to take heart and oxygen readings. 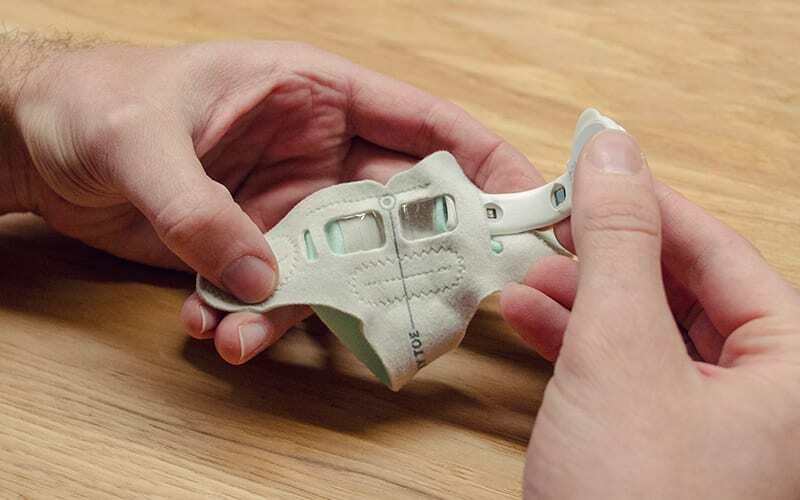 This pulse oximeter tracks oxygen levels and heart rate. The base station communicates with the sensor and app to collect data and send alerts. 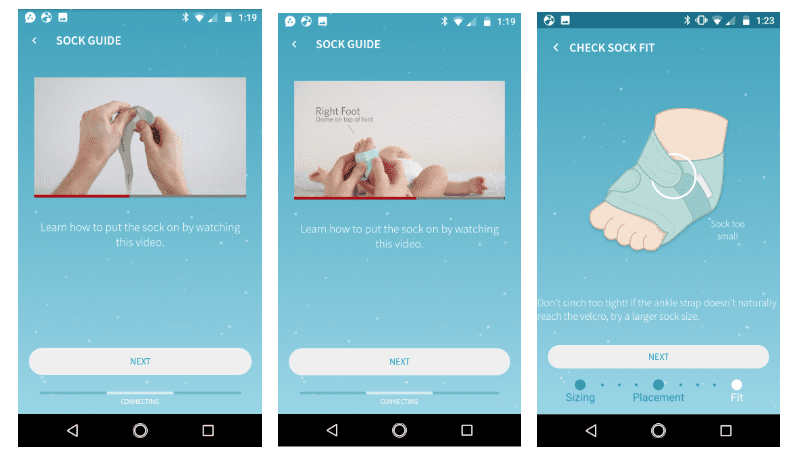 You can use the Owlet app to check live readings from your baby when they’re wearing the sock. But if you want historical oxygen and heart rate information you need to download the Connected Care app. We think it’s worth it to have two apps, though. One of the most helpful things in the Connected Care app is the trended sleep data. You can see exactly what’s going on when your baby’s in dreamland, which is helpful if you’re in the midst of sleep training or if you’re trying to decide how and when naps are most effective. Overall the Owlet Smart Sock is easy to use and delivers what it promises. Setup is fairly simple, and the mobile app is easy to navigate, even for a sleep-deprived parent. Best of all, Owlet’s notifications are gentle instead of jarring. Owlet helps both you and your infant get better sleep-you because you’re not worried, and the baby because you’re not disrupting their slumber to make sure they’re okay. And it’s nice to know that if Owlet sends an alert for something nonemergency like a low battery, it won’t act like your smoke alarm. 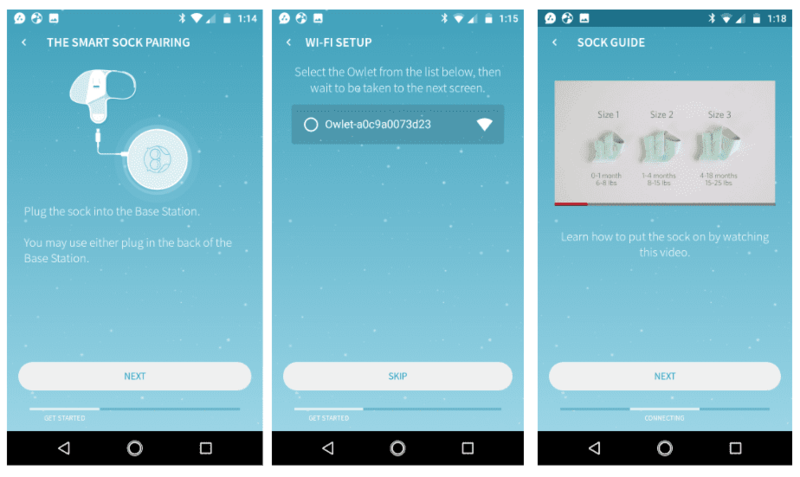 Getting the smart sock up and running was “doable” though not strictly easy, according to our tester, and Owlet has numerous resources to make it that way. 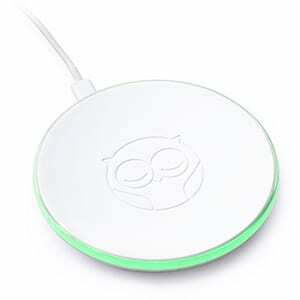 Like nearly all smart products, the Owlet uses your home Wi-Fi network to communicate among the sensor, the base station, and the app. Scott was pleased with how easy the Wi-Fi setup went. The trickiest thing about using the sock is wrangling the baby. 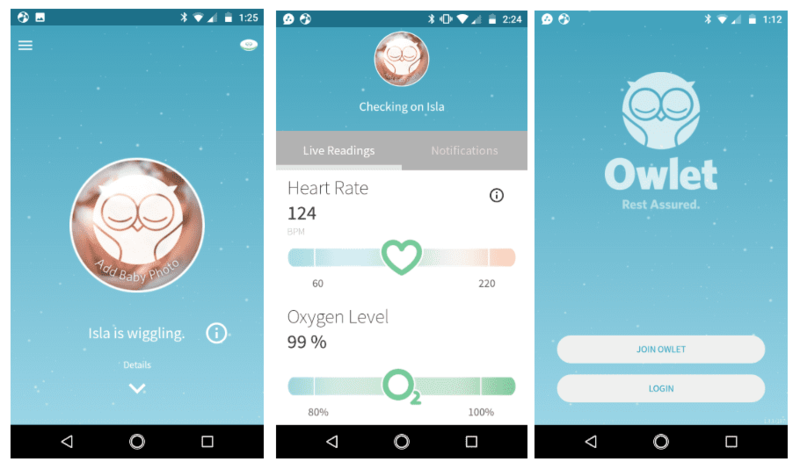 Owlet uses pulse oximetry to monitor your baby’s heart rate and oxygen level. That’s just a scientific way to say that the sensor is taking the baby’s pulse to get the information it needs. But to take the pulse, the sensor has to be placed on the back of the baby’s pinky toe. Whether or not this placement will be challenging depends on you and your little one. Scott and his baby girl didn’t struggle at all. In fact, he said that he was surprised by how much she didn’t react, “It was like she didn’t even know the sock was there.” But I remember my own wriggling wee ones, and I’m sure that getting things lined up correctly would have been a challenge. Because the socks come disassembled and in three different sizes, they can seem a little complicated. 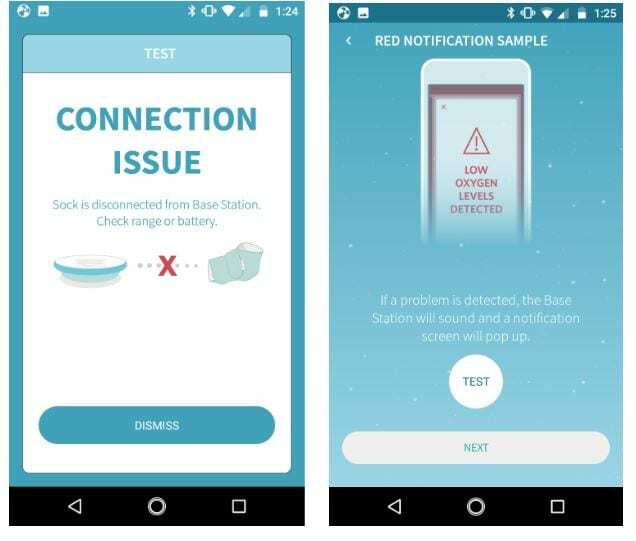 But with instructions both on the socks and in the app, Scott says, “It’s pretty hard to mess it up.” While Owlet advises that most errors with the product come from the user, Scott didn’t run into any issues or alerts that he had done it wrong. One of the most unique things about the Owlet is that it takes a gentle approach to alerts. As we mentioned before, there’s no clanging or screeching that would scare the heck out of parents and the baby-not to mention how it would wake everyone up. Scott particularly liked that alerts about a low battery or connection problem (re: wiggling baby) aren’t startling. Instead of getting an alarm, the base station light turns red and it plays a lullaby. But you need to make sure to keep the base station in your sightline or you’ll miss out. If you want freedom from the base station, use the Owlet app for notifications. 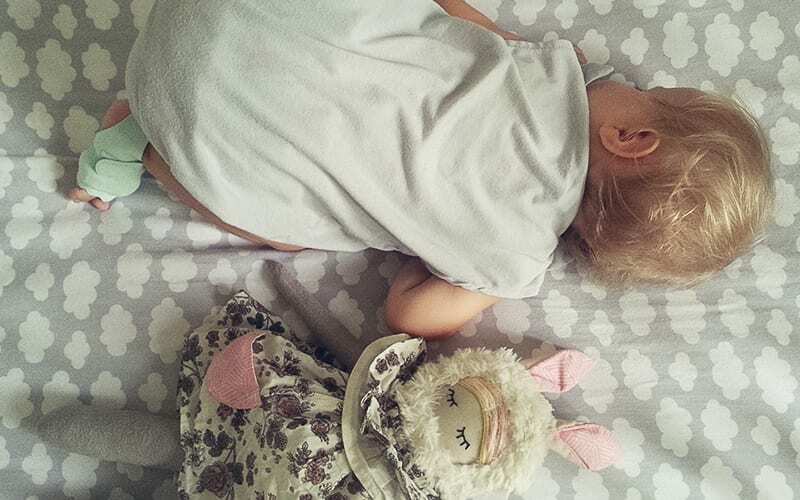 Even though our test didn’t turn up any health alerts, we know a couple who relied on the Owlet when they brought their baby home from the hospital with health concerns. “As first time parents, our lives were turned upside down when we brought our little boy home on oxygen. Stress and worry continued when it was time to transition him off of supplemental oxygen and his oxygen level monitors. At this point, we quickly began looking for options to help ease the transition. 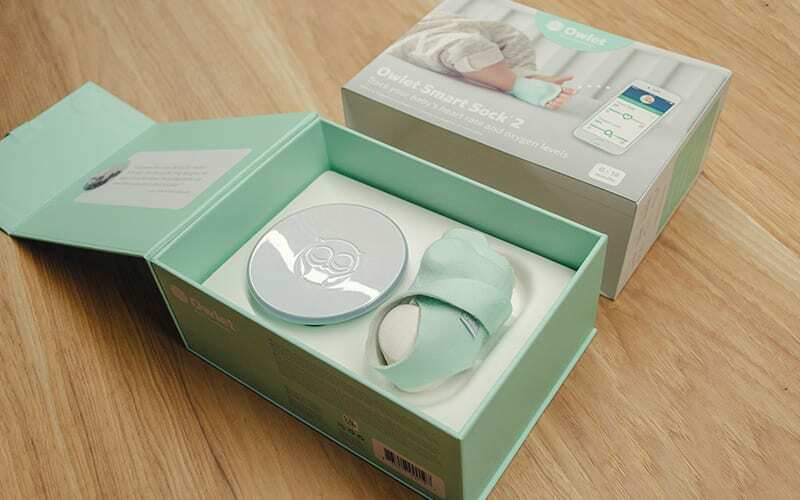 We loved the Owlet Smart Sock and we think you will too. 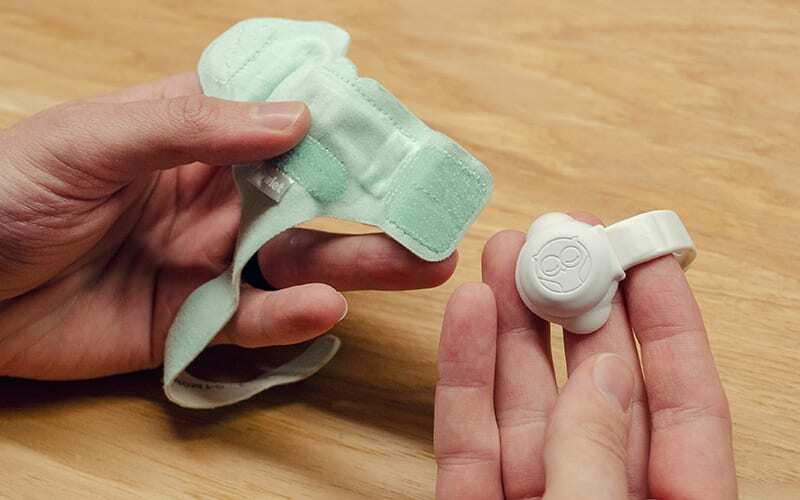 This smart baby health monitor is what parents have needed for generations. 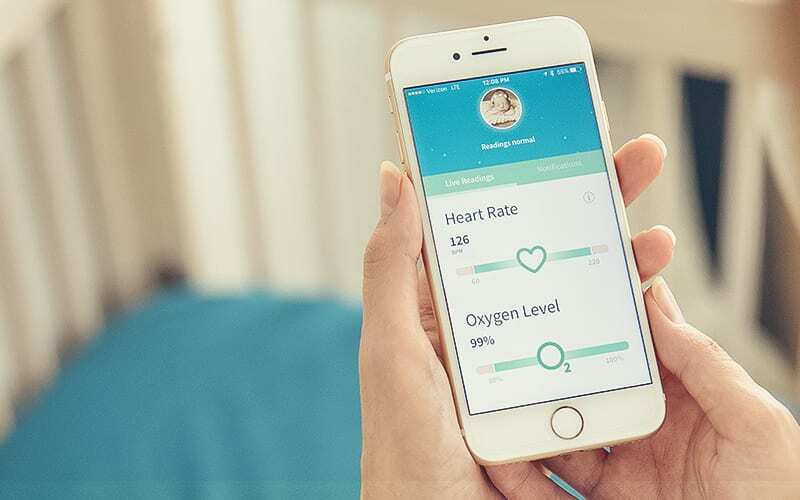 No more obsessively watching to make sure your baby is breathing-with the Owlet all you need to do is check the app or look at the base station for a status report. For the price, we think it’s a splurge for parents who already know the drill or have an infant with no apparent health issues. The Owlet is much more applicable to first-time parents or parents of a baby with health concerns. The post Owlet Smart Sock Review appeared first on SafeWise.